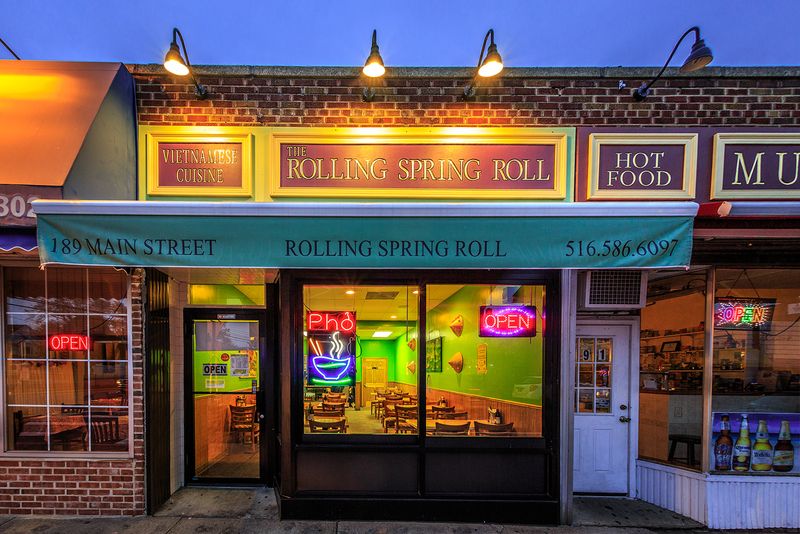 Welcome to The Rolling Spring Roll! From our humble start as a Long Island food truck, The Rolling Spring Roll has worked to bring Long Islanders fresh, healthy Vietnamese cuisine in a friendly, casual atmosphere at an affordable price. Our menu offers a variety of dishes, each prepared carefully with the freshest ingredients. With a variety of choices and vegetarian options, there is something for everyone but, no trip to The Rolling Spring Roll is complete without an order of Chef Bui's signature recipe Spring Rolls! We are conveniently located at 189 Main Street in Farmingdale and check out our second location at 228 West Jericho Turnpike in Syosset. Our casual and friendly atmosphere is perfect to enjoy meals with friends, families, or your office mates! We also offer a full take-out menu if you can't stay or want to take something with you. We look forward to seeing you soon! Copyright © 2013-2019 The Rolling Spring Roll. All Rights Reserved. Menu and Prices Are Subject to Change Without Notice.